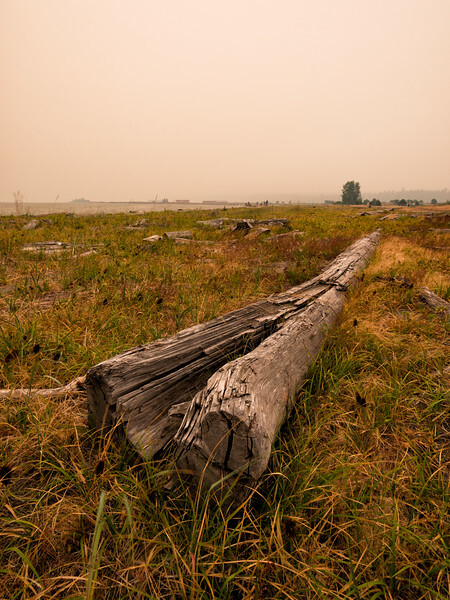 Recent forest fires have destroyed thousands of hectares of land throughout British Columbia and parts of the United States. 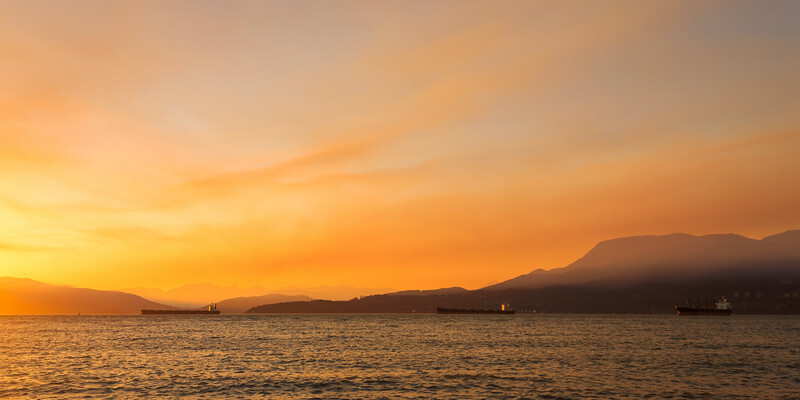 The smoke from these fires travels wherever the wind takes it and nearby cities such as Vancouver become engulfed in smoke for days at a time. 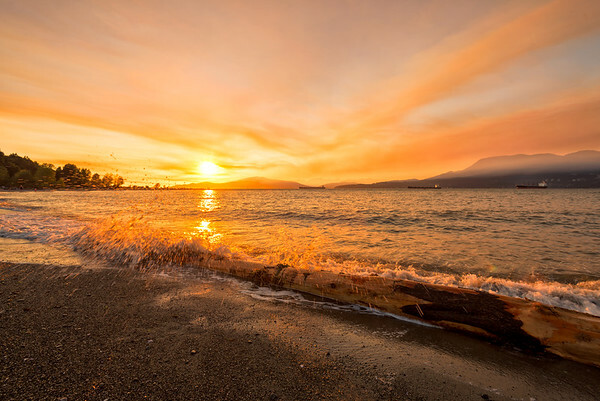 A splash of colour as the waves crash over a log on Locarno Beach in Vancouver, BC. The forest fire smoke can be seen lingering in the distance. 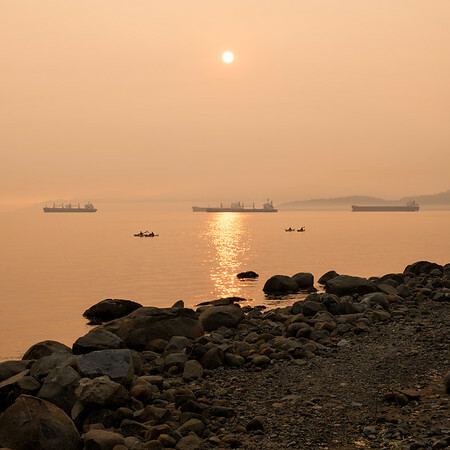 Freighters sit in English Bay with forest fire smoke creating a hazy sky. 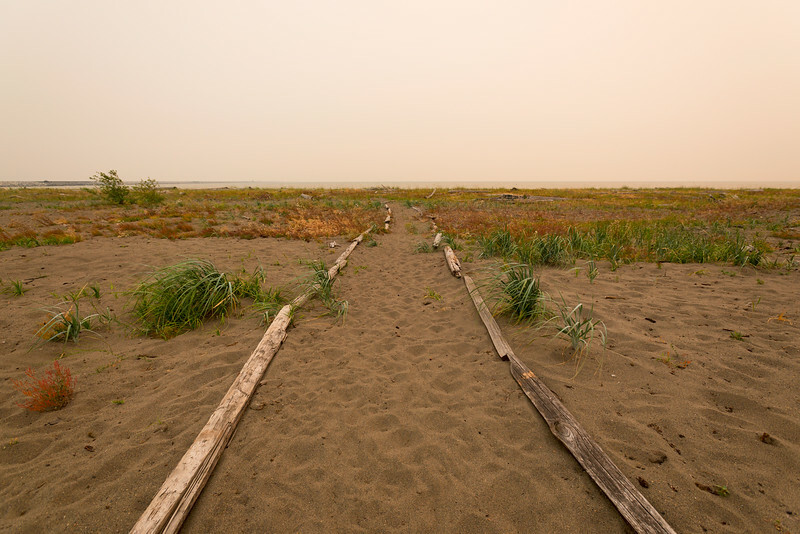 A beach path at Iona Beach Park in Richmond, BC. The colours are skewed due to forest fire smoke in the city. Driftwood sits on the grassy marsh at Iona Beach Park. Forest fire smoke lingers in the distance. 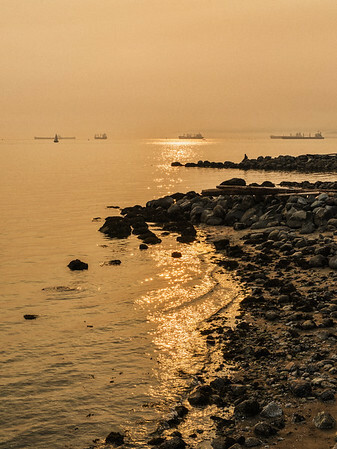 It's close to sunset at English Bay and the forest fire smoke creates a strange golden colour on the shoreline. Kayakers enjoy a peaceful evening on the water in English Bay. Forest fire smoke creates a thick haze and strange colours as the sun sets. 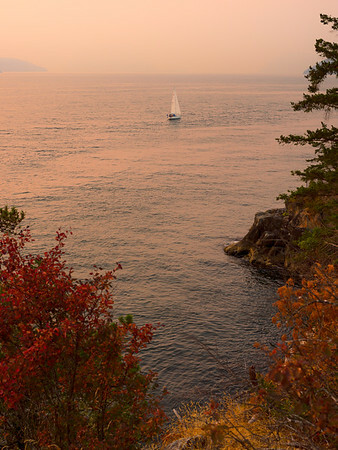 A lone sailboat on a smoke filled evening in West Vancouver at Whytecliff Park. 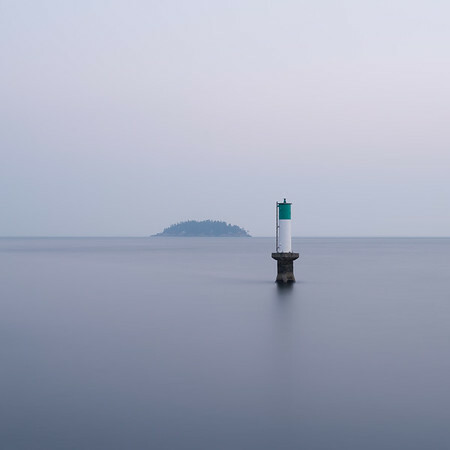 Passage island seen in the distance with a marker in the ocean off the coast of Whytecliff Park in West Vancouver, BC. 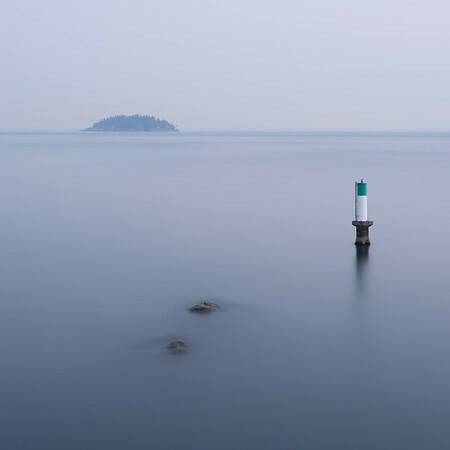 A peaceful evening at Whytecliff Park with Passage Island seen in the distance. 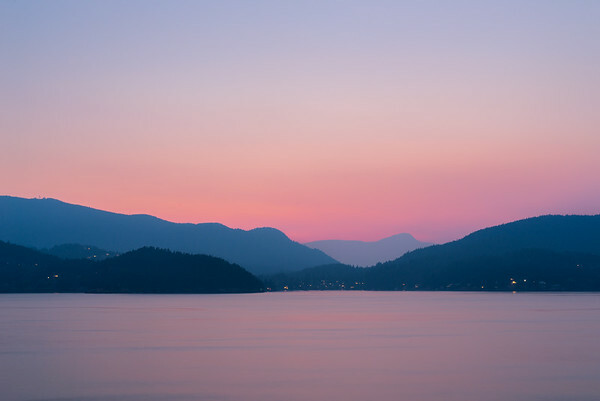 A beautiful sunset and view of Bowen Island from Whytecliff Park in West Vancouver, BC.